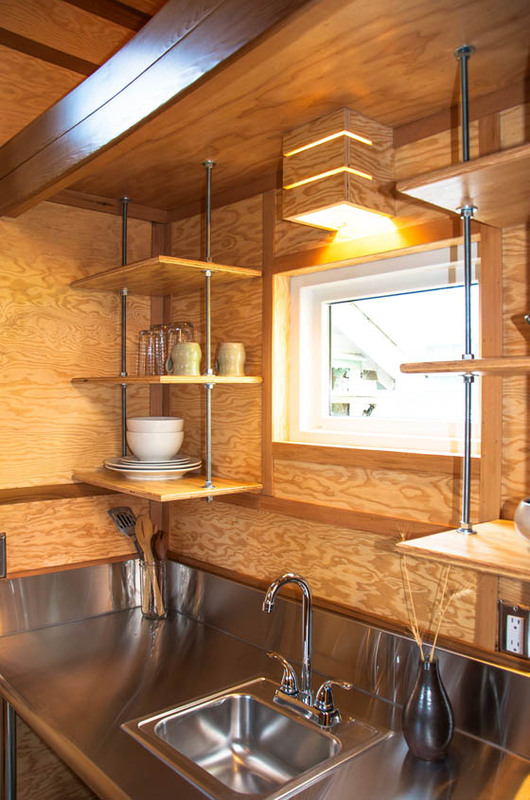 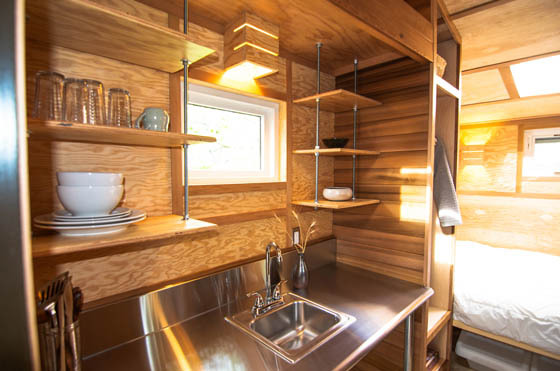 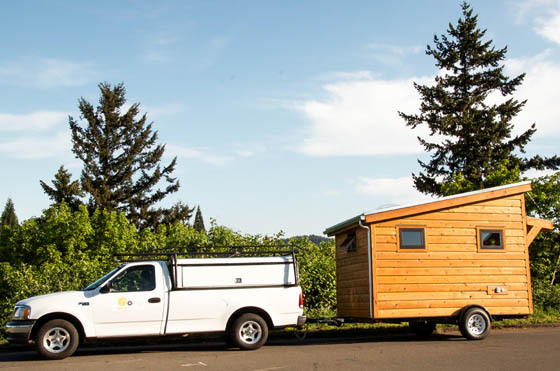 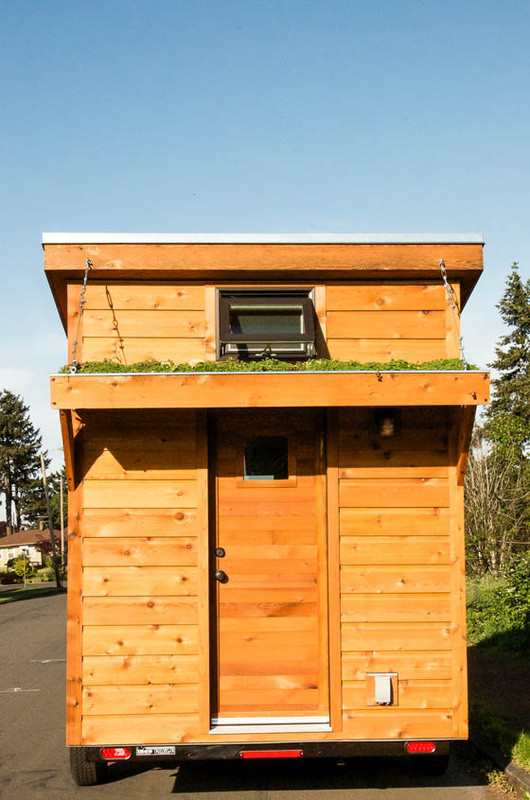 Designed by Portland based company Shelter Wise, Salsa Box is a 96 sq. 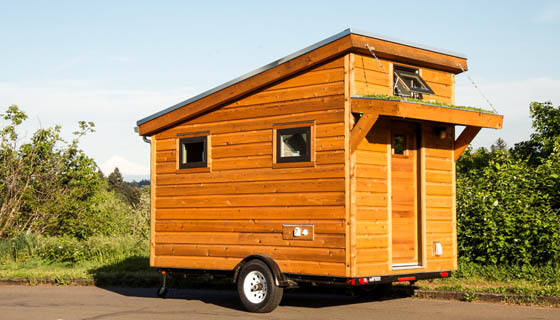 ft. instant cabin designed to be an efficient, durable and budget-friendly Tiny Home which can easily be attached to any trailer hook. 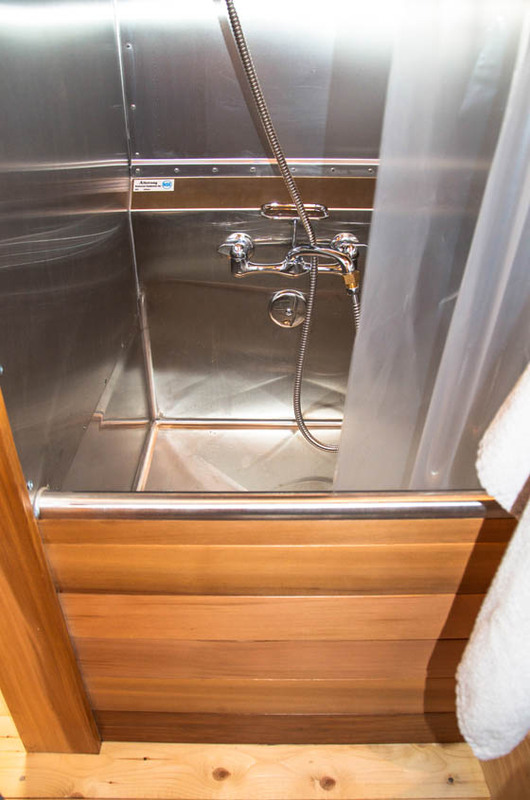 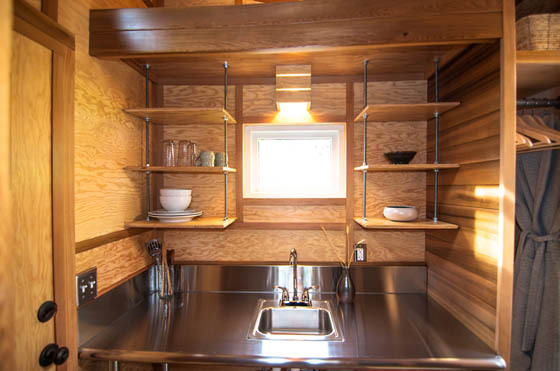 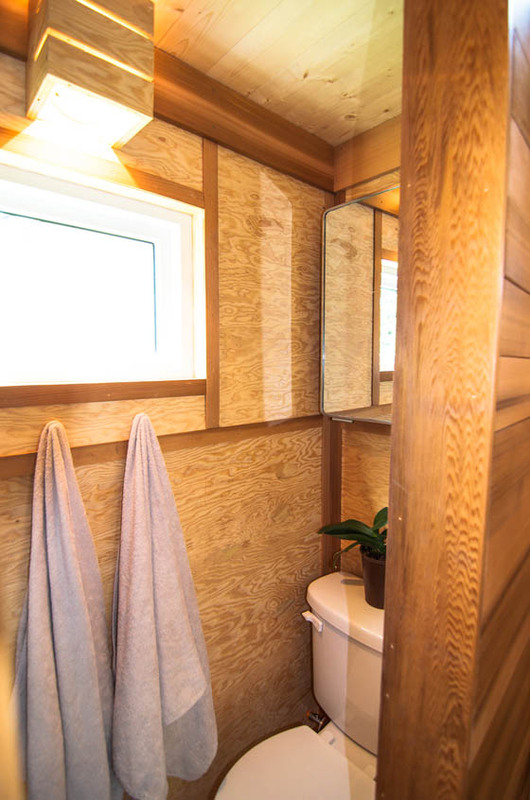 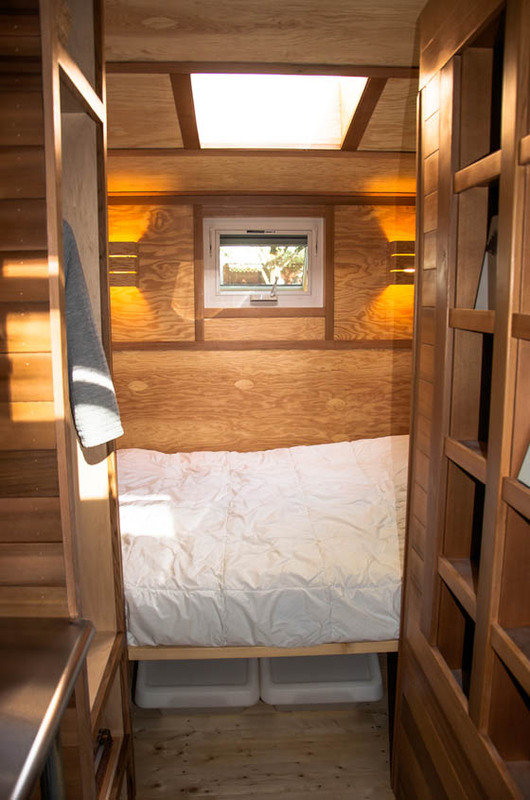 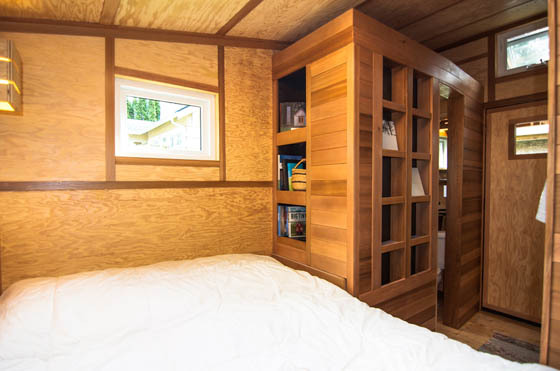 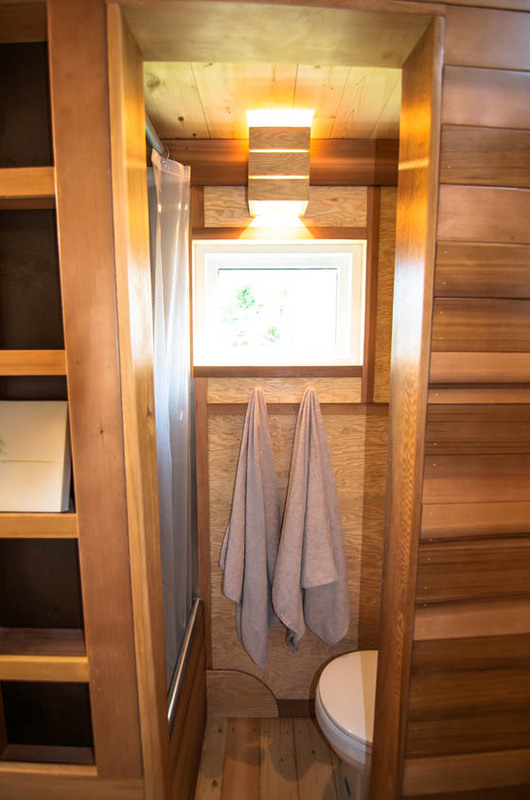 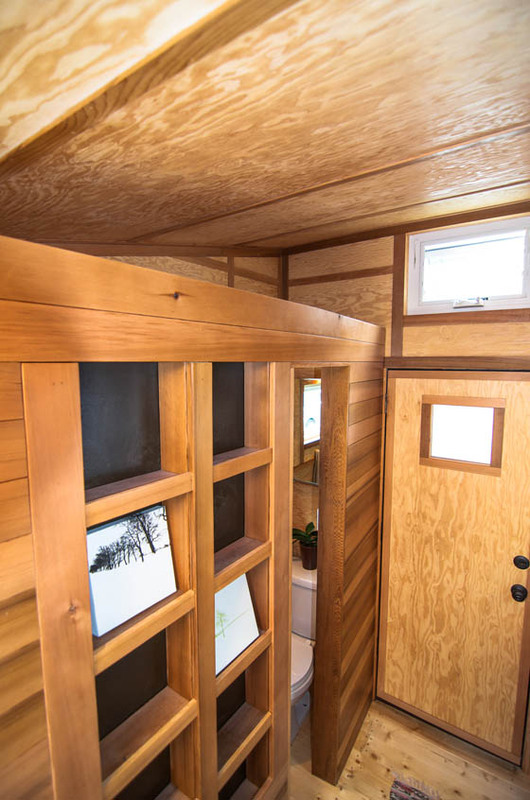 This cozy, compact cabin features nice kitchen, a queen sized bed, bath/shower combo setup, a flushing toilet and lots of creative nooks and crannies for storage. 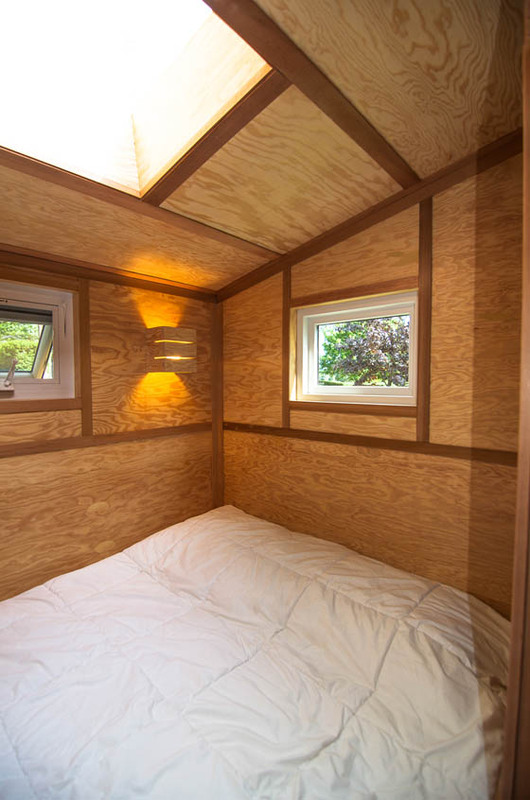 The windows and skylight built into the structure provide plenty of natural light. 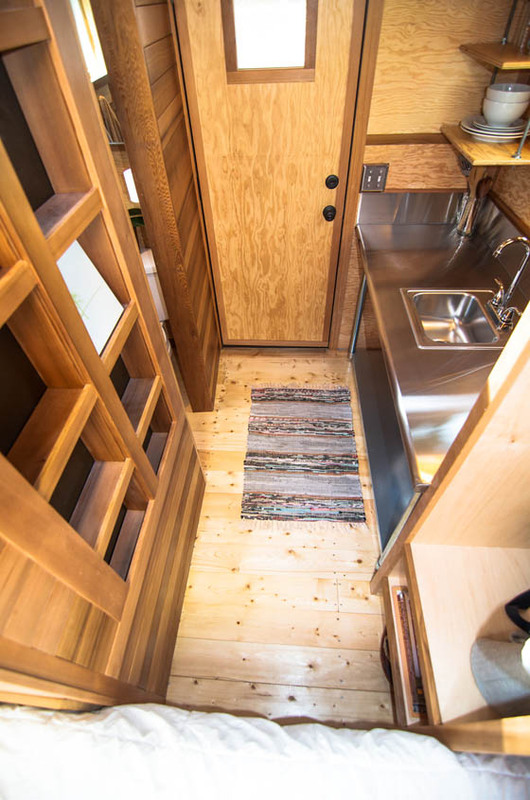 Moreover, it comes with a full 30 Amp RV hookup and RV water connection, with a price tag under $25,000, it seems like an affordable option if you want to have a compact home on wheel.